This post about the Picks from Nordstrom’s Spring 2019 Sale contains affiliate links. Please read this blog’s disclosure post for more info. It’s time for one of my favorite sales of the year! 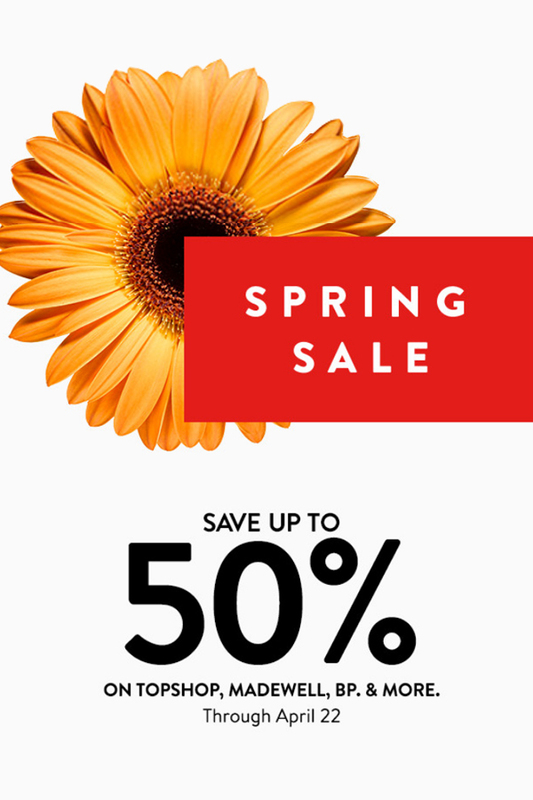 Right now you can save up to 50% off all kinds of goodies from our favorite brands like Madewell, Halogen, Sole Society, Marc Fisher, Leith, Sam Edelman, Botkier, Lou & Grey, Zella, 1901, Topshop and so many more! I find these sales have overwhelming selection, so here are my picks from the Nordstrom Spring 2019 sale! Oftentimes this sale focuses on clearing out Winter items. For whatever reason my picks from the Nordstrom Spring 2019 sale include lots of Spring-ready items! 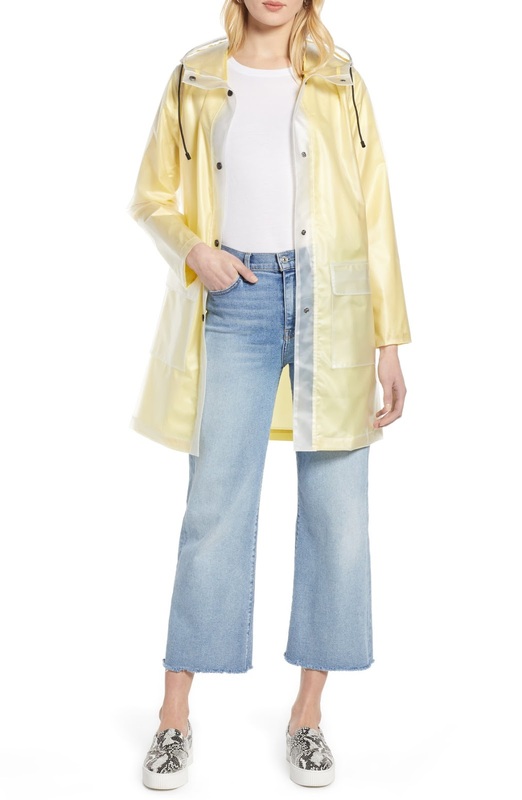 I found lots of cute raincoats like the Patch Pocket Transparent Jacket (now $65) above to make it through the seemingly endless rainy days. I also really like this floral option and this stylish belted jacket. It’s not just trends in my picks from the Nordstrom Spring 2019 sale, I promise! Personal favorites like the Ruched Body-Con Tank Dress (now $45) made the sale in many colors. If you don’t own this dress yet now is the time to get on it! I also love Leith’s Long Sleeved Shirred Cuff Dress (now $42, also in wrap style) and Madewell’s Summer-ready Ikat Floral Buttondown Midi (now $111). My bag collection is about to grow thanks to the Nordstrom sale! I have my eye on the Blythe Leather Belt Bag (now $117) and the Croc Embossed Faux Leather Backpack (now $34). I already own and love the Cobble Hill Leather Crossbody (now $158) and highly recommend it. I’m also dying over the Yuzefi bags in the sale, like the Delia Bucket Bag (now $472) and its mini. You’ll find great deals in the shoe selection too. My picks from the Nordstrom Spring 2019 sale have a bunch of popular Marc Fisher shoes! I own the Zala pump in several colors and I see classic colors like black and tan in the sale, as well as more trendy colorways like snakeskin. I also see their very popular Adalyn Espadrille Wedge Sandal (now $120). That shoe is a little hard for me to walk in! Luckily there’s also the Oria Espadrille Platform Sandal (now $112) in four colors and the Anty Platform Espadrille Sandal (now $99), both of which I found easier to negotiate. I’m a big fan of Sam Edelman’s shoes too. Many of the brand’s most comfy styles are here, like the Hazel Pump (now $84), the Patti Sandal (now $70, also in leopard) and the block-heeled Stillson Pump (now $120, also in pink). Botkier has some great block heels too in my picks from the Nordstrom Spring 2019 sale! I own and love both the Shanna Mule (now $90) and the Stella Pumps (now $111, more colors). Now I’m highly considering adding the Shayla Slingback (now $111) and the Elia Espadrille Wedge Sandal (now $95) to my Spring/Summer shoe selection. Below, I’ve whittled down over 1,000 new sale items to my picks from the Nordstrom Spring 2019 sale! Are you shopping this sale too? Thank you for the reminder, Roxy. Since I need shoes, but need to try them on, I might make a longer drive to one of the 'A' grade Nordstroms. I love how they can always track down sizes that I need. This also reminds me it is time to do my cool weather to warm weather closet switch! Great picks Roxy! I like the Madewell eyelet blouse and the Botkier two-tone bag you picked. 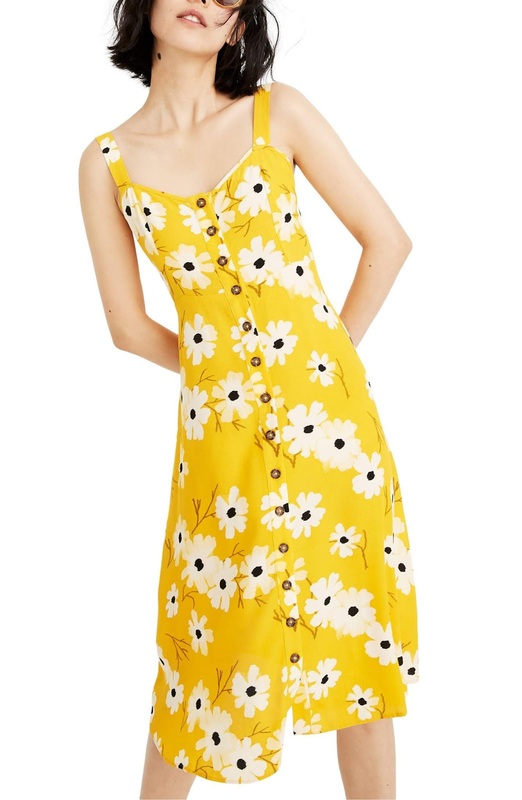 Hi Roxy – I was interested in the midi floral ikat madewell dress, but when I click on the link its not on sale? Did I miss something? I’m so sorry! It must been a price match over the weekend. I see a few other items that had the same thing happen, like a Club Monaco dress I linked to. I will try to find out if it’s going to be marked down again!